Last Friday, it was announced that “Jeopardy!” champion Cindy Stowell died at age 41 of Stage 4 colon cancer on December 5, 2016, about a week before her episodes aired. She had a total of seven wins before losing on tonight’s broadcast, taped in August. At the end of the program this evening, Alex Trebek paid his respects to her in memoriam and sent condolences to her family. But Cindy’s real victory was that she got to live her dream—she was able to tape her appearances in August 2016 while she was still well enough. Not only that, but she may have helped unknown others live their dream as well: she donated her winnings—more than $100,000—to the Cancer Research Institute. SEE THE UPDATE ABOVE ON 12/21/16. THE ORIGINAL POST FROM 12/16/16 FOLLOWS. Today it was announced that four-time (as aired thus far) “Jeopardy!” champion Cindy Stowell died at age 41 of Stage 4 colon cancer on December 5, 2016, about a week before her episodes aired. She won again on tonight’s episode. The show has not announced her total number of wins. But Cindy’s real victory was that she got to live her dream—she was able to tape her appearances in August 2016 while she was still well enough. Not only that, but she may have helped unknown others live their dream as well: she donated her winnings to the Cancer Research Institute. Of these, 49,190 deaths from colorectal cancer are anticipated this year. There is some good news: The death rate from colorectal cancer has been dropping in both men and women for several decades. One probable reason is that colorectal polyps are being found more often by screening and are removed before they can develop into cancers. Another is that these cancers are being found earlier when the disease is easier to treat. In addition, treatment for colorectal cancer has improved over the last few decades, resulting in more than 1 million survivors in the US. Colon cancer has also touched my family—my father had it when he was in his mid-fifties. Although he didn’t die of it, he could have if he had waited any longer to get treatment: his tumor was just about to perforate beyond his intestine into his abdominal cavity. Colorectal cancer is also significant to me because it is genetically linked with uterine (endometrial) cancer, for which I was I successfully treated three years ago. As I discussed briefly in my December 14, 2016 post, my gynecologic oncologist recommended that I have genetic counseling. Genetic tests can help show whether family members have inherited a high risk of colorectal cancer due to family cancer syndromes and other risk factors. In some family cancer syndromes, a few types of cancer seem to go together. For example, breast cancer and ovarian cancer run together in families with “hereditary breast and ovarian cancer syndrome” (HBOC). What is of greater interest to me personally is that colorectal and uterine (endometrial) cancers tend to go together in a syndrome called “hereditary non-polyposis colorectal cancer” (HNPCC), also known as Lynch syndrome. People with Lynch syndrome are also at increased risk for some other cancers, such as cancers of the ovaries, stomach, small bowel, pancreas, kidneys, brain, ureters (tubes that carry urine from the kidneys to the bladder), and bile duct. I will be diving deeper into the link between colon and uterine cancer in the near future. 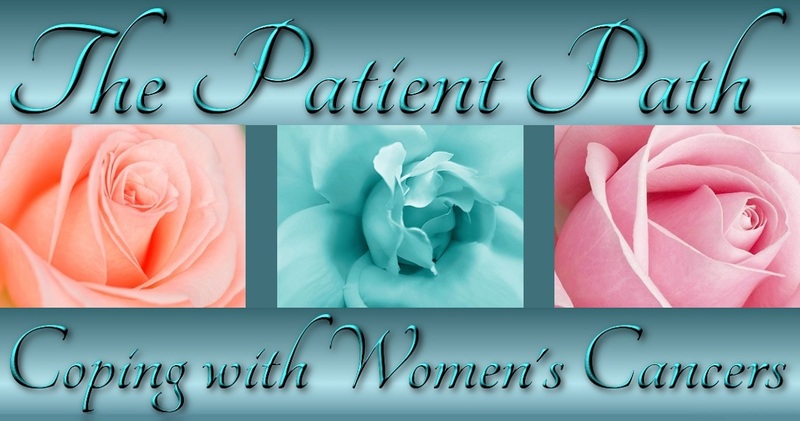 In the meantime, you can read about my three-year journey with uterine cancer here. And I strongly urge women to become aware of the uterine cancer risk factors—this is the most common gynecologic cancer, affecting more than 60,000 women in the US per year and killing more than 10,000 of them. I will also be updating the risk factor post very soon to include additional information on genetic testing for colorectal cancer and Lynch syndrome. I welcome people to contact me with questions, comments, and stories of their own using this form.